The hawk screams for it’s food. 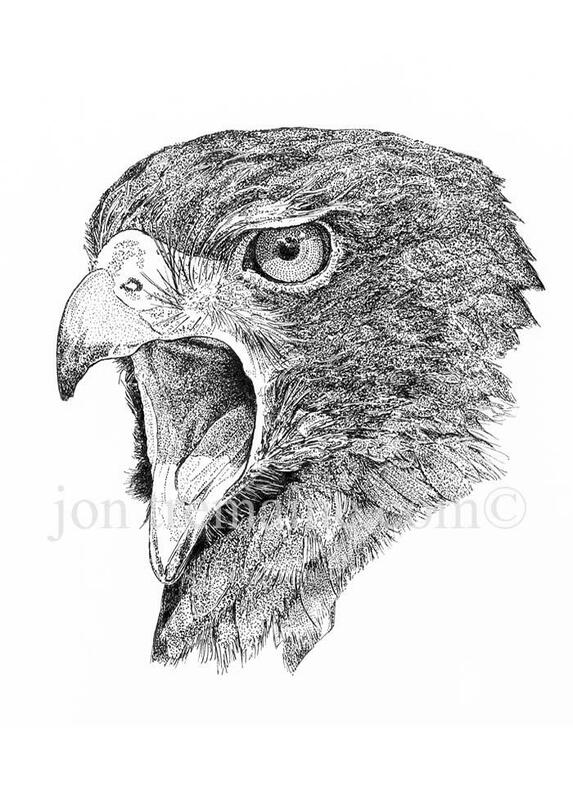 The Harris hawk, originally from North America, has been an extremely popular and successful bird with UK falconers. It is generally quite an easy bird to handle and train. Wild Harris hawks are one of the few broad winged hawks that will readily hunt in a team. Very often, a female Harris hawk will mate with two males and the nest may be made in cooperation of several other birds. Series of a 175 limited edition prints titled and signed by the artist.